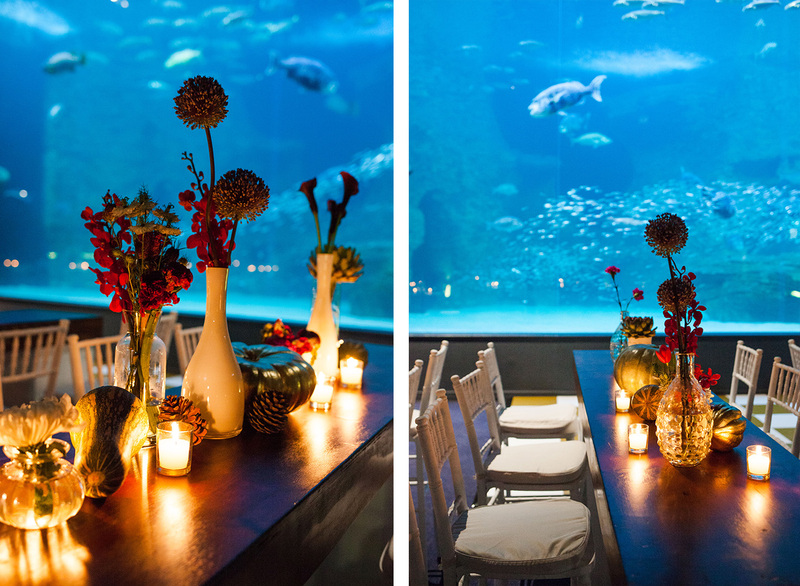 This evening we entered into the magical world under the sea. 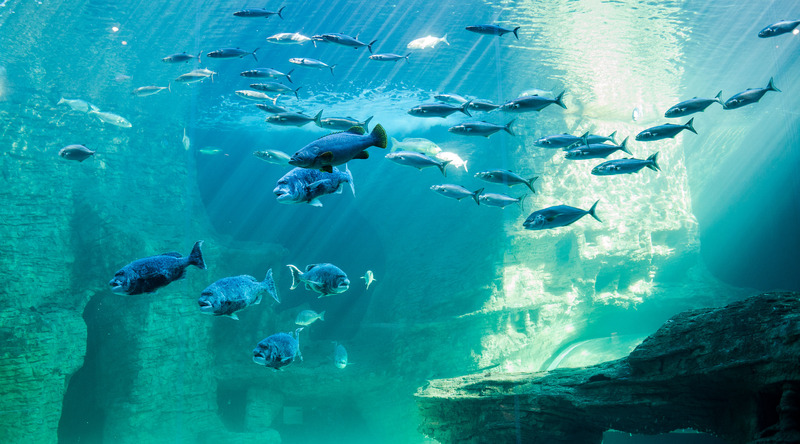 It held elements of mystery, wonder and serenity. 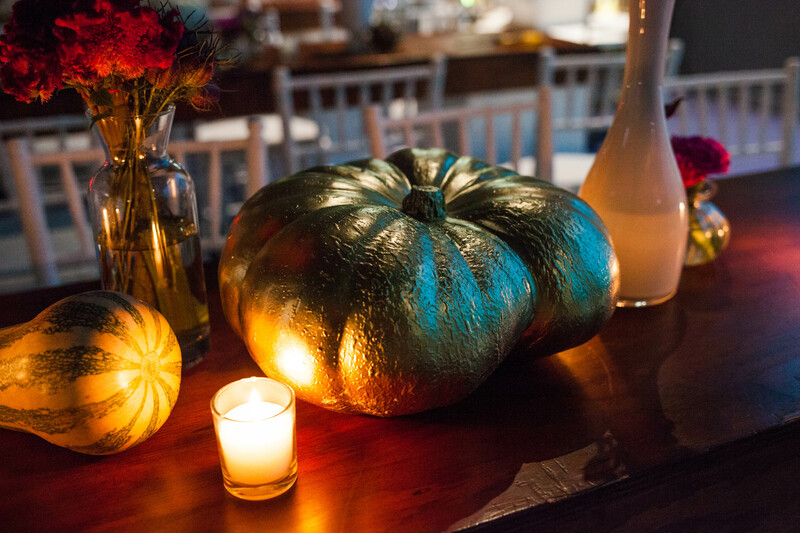 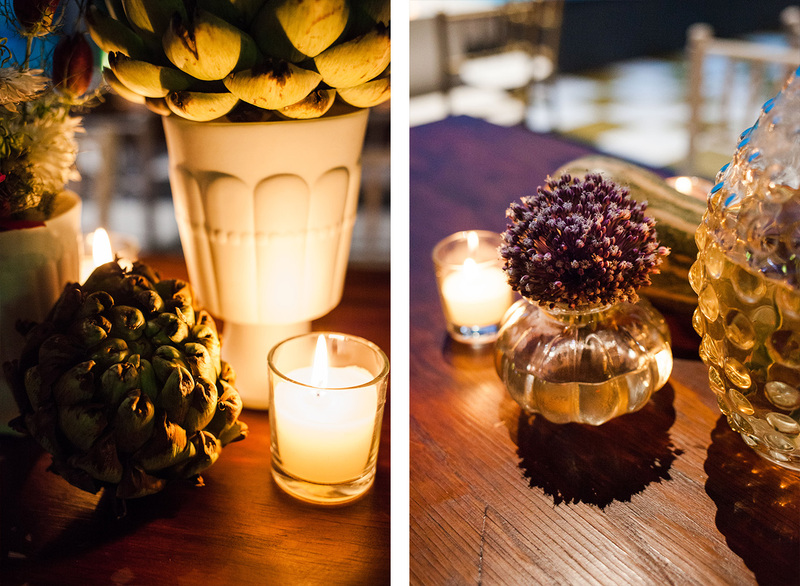 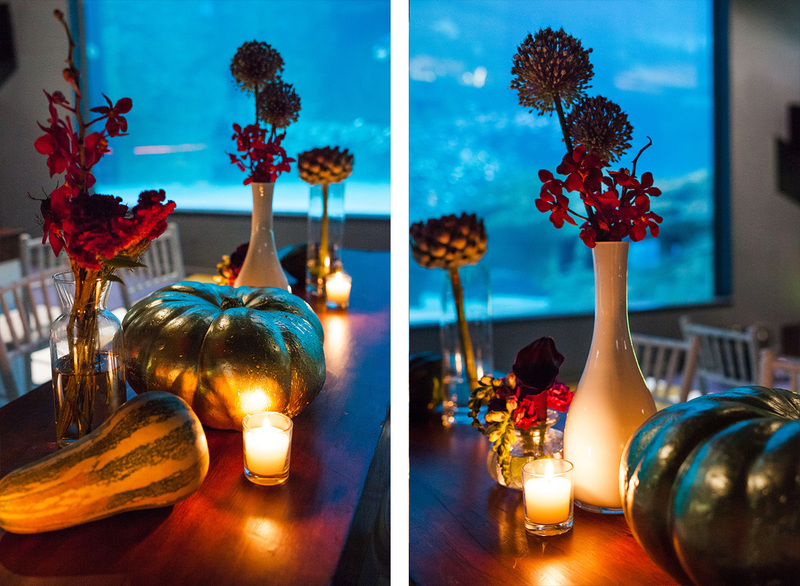 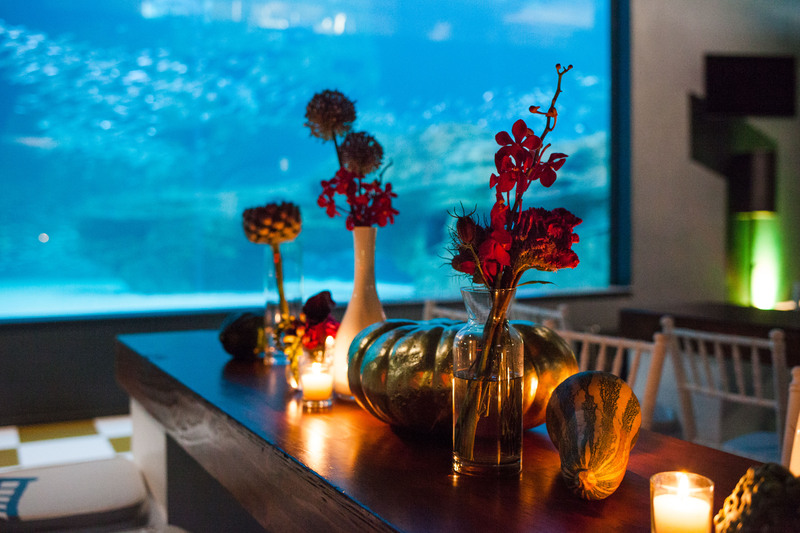 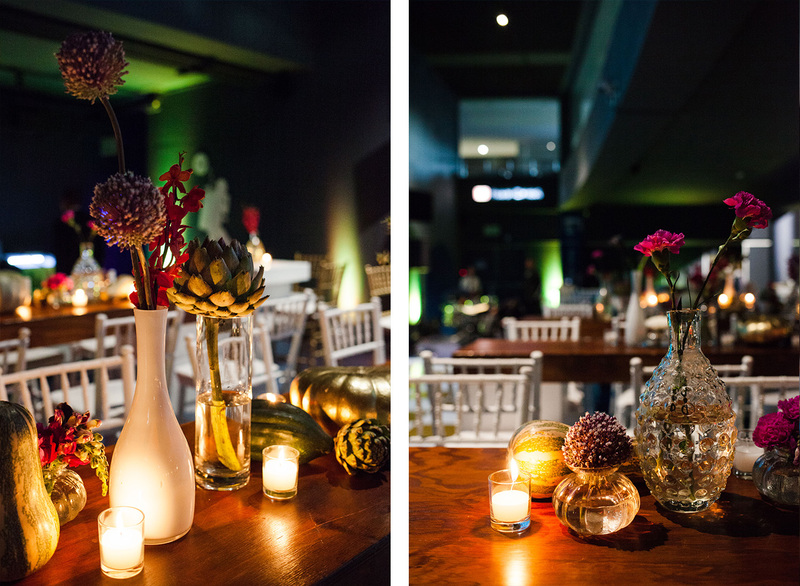 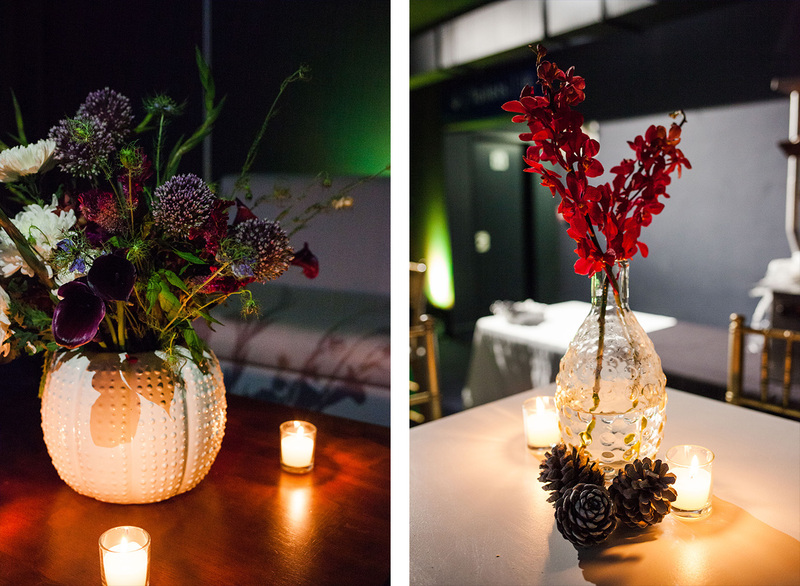 I should probably be telling you about the beautiful décor we did for this RGA Thanksgiving Cocktail Function and of how flawlessly everything came together, regardless of the short turnaround time we were given. 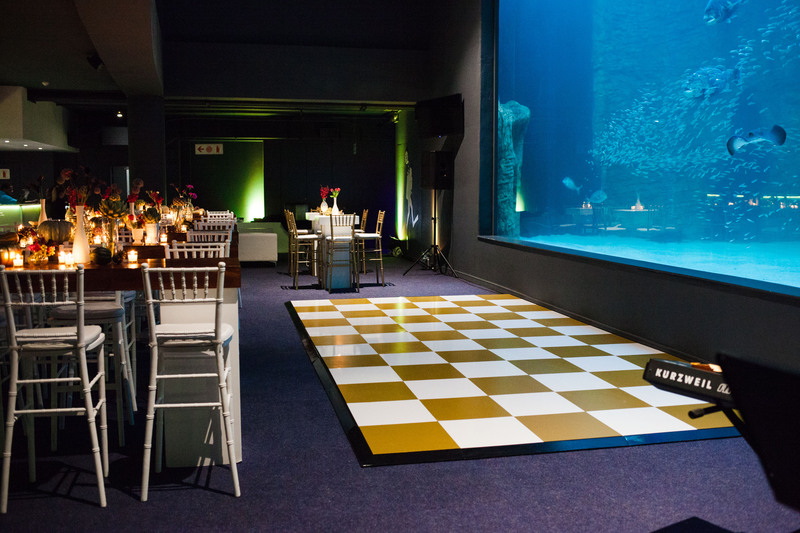 But my awe of the venue won’t allow me to go that route. 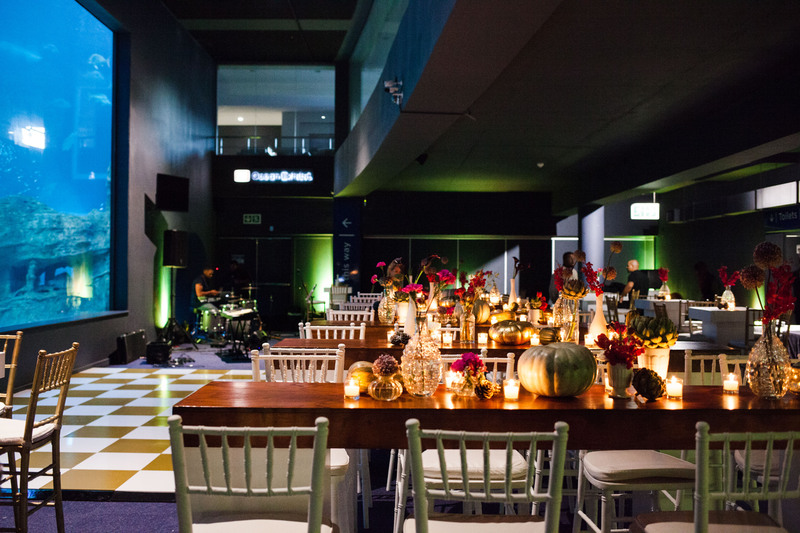 Guests enjoyed welcoming drinks while admiring the various exhibits. 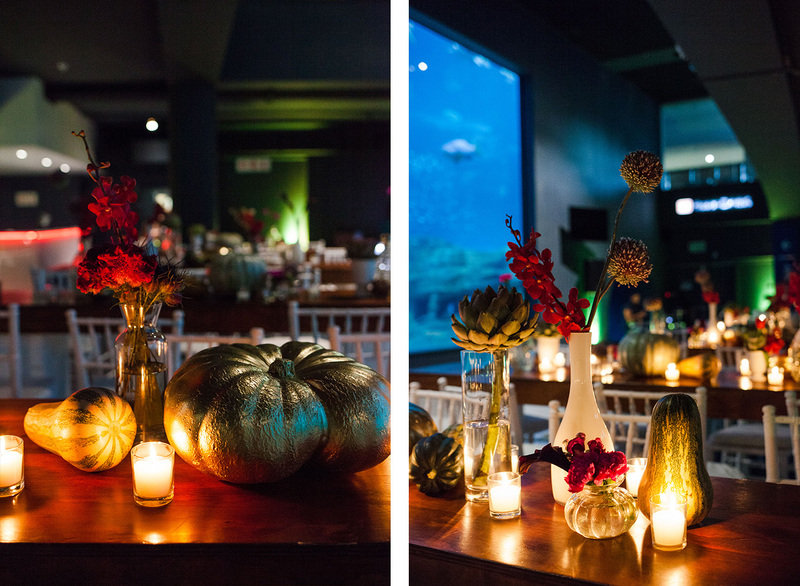 In the absence of daylight, the multitude of colours were even more striking and wondrous. 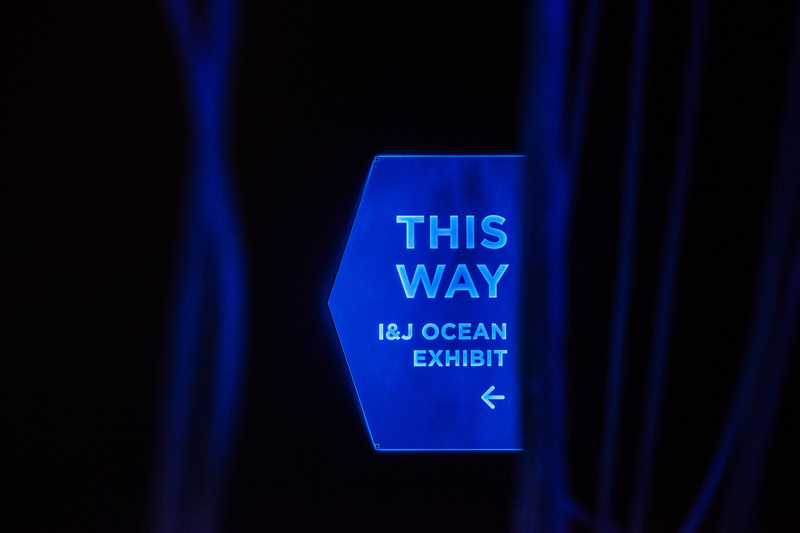 Then, moving through a room pitch dark except for the blue glow of jelly fish, the attendees arrived in the main venue which was the I & J Ocean Exhibit. 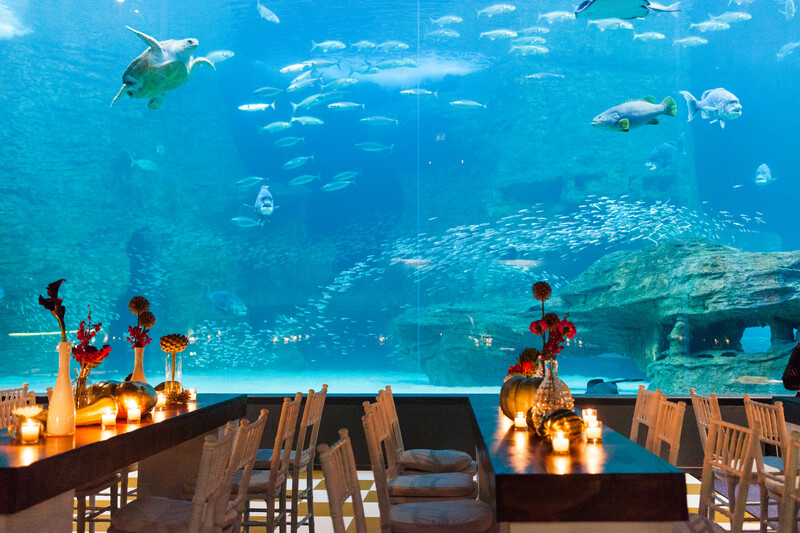 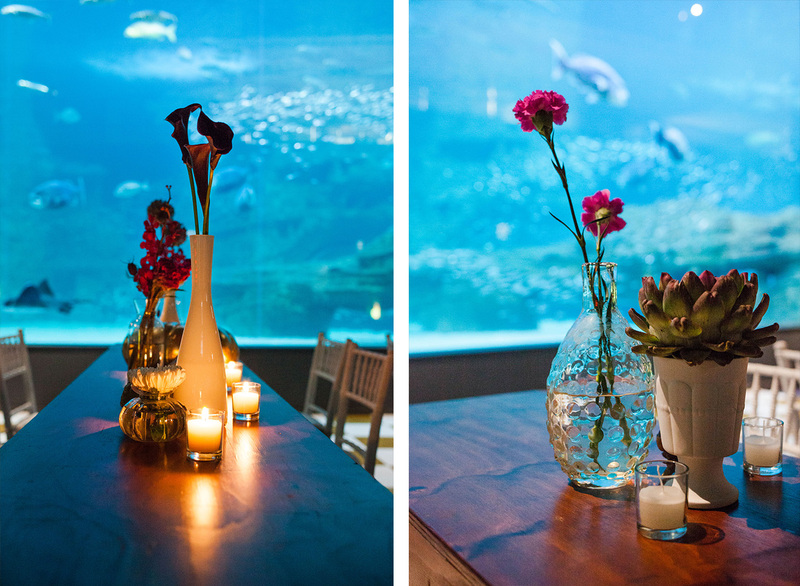 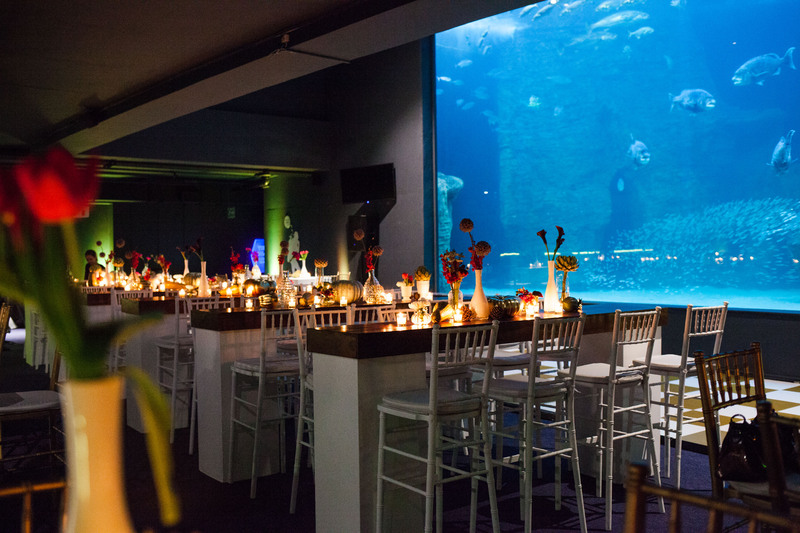 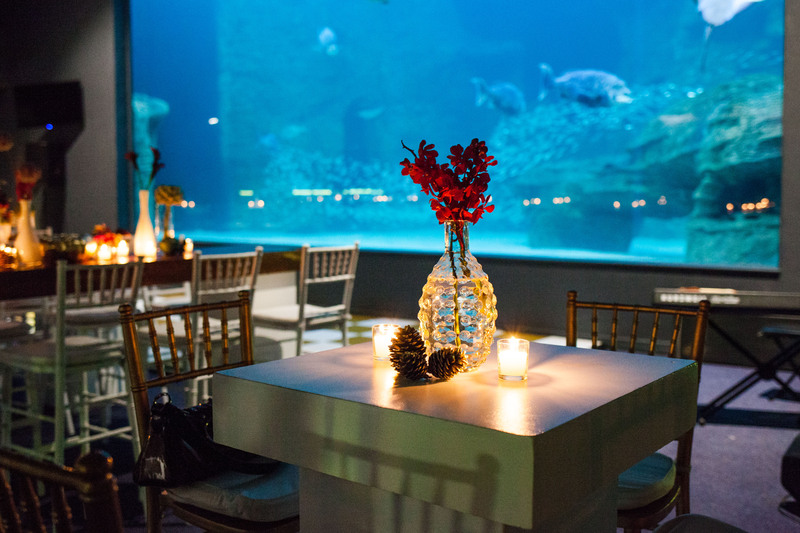 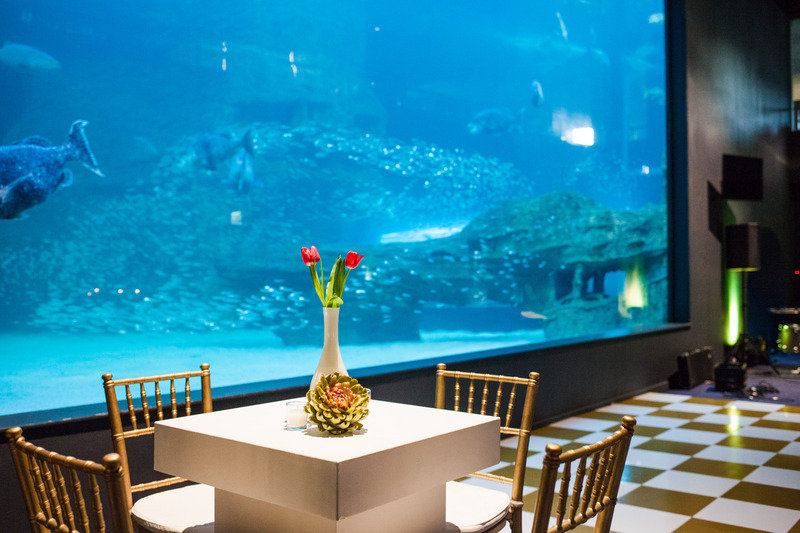 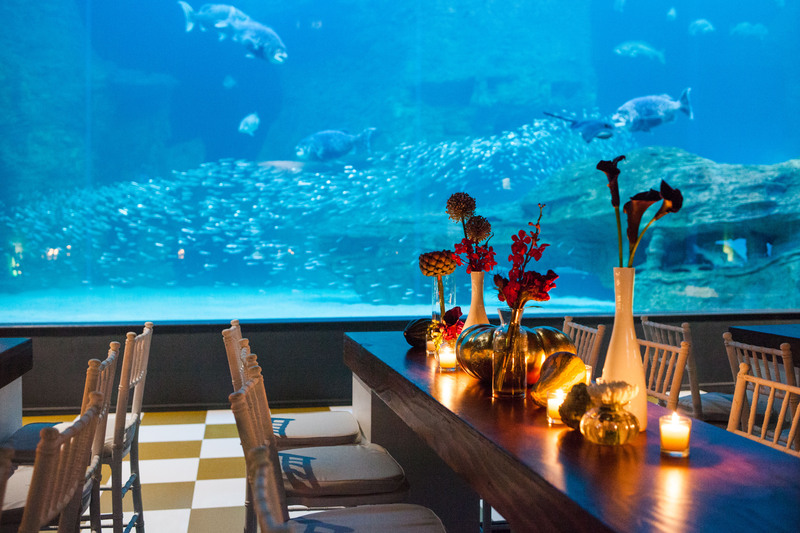 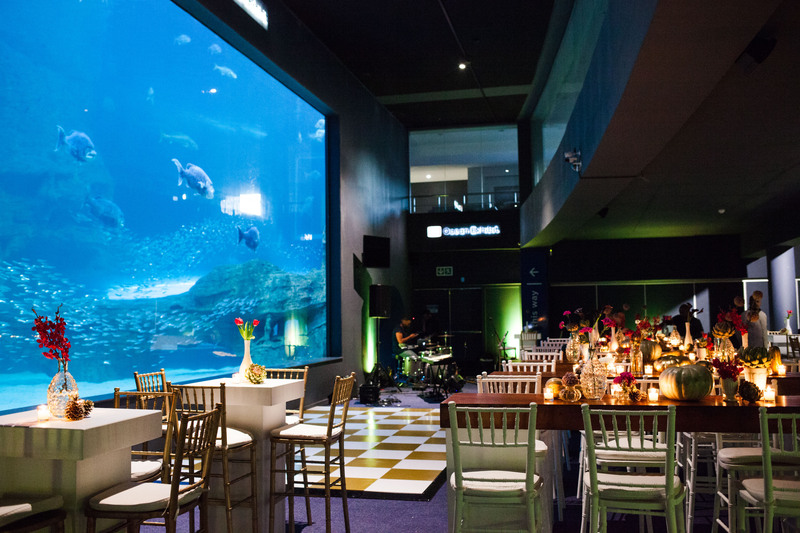 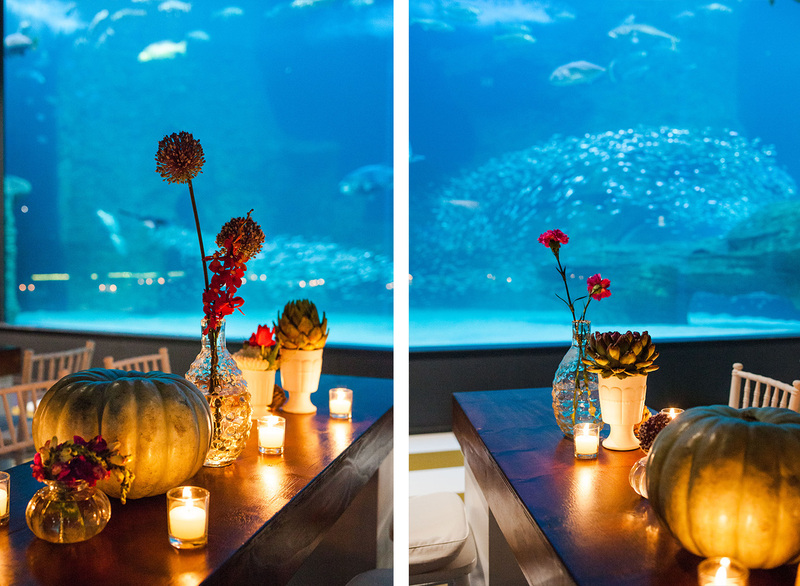 Here they danced the night away in front of the huge glass wall separating them and a magnitude of sea life.